What if the male version of the birth control pill wasn't a pill at all? Scientists from the University of North Carolina say a non-oral form of male contraception is on the horizon. According to researchers, all it takes to be effective is a couple blasts of high frequency sound waves...delivered straight to the testicles. Using ultrasound equipment typically used for physical therapy, a team of researchers led by UNC's James Tsuruta showed that exposing the testes of rats to two 15-minute "doses" of ultrasonic radiation could reduce sperm counts in the rats to levels that, in humans, would result in infertility. If the effects prove reversible, and the treatment is deemed safe, ultrasonic contraception could soon become a common form of male birth control. But would anybody actually use it? After all, having blasts of high-frequency sound waves propagate throughout your nether regions sounds pretty, well, intimidating; but preliminary human studies (which were first conducted in the 1970s but, for various reasons, never really saw much more attention until recently), show that the treatment isn't painful at all. Plus, when you consider the benefits of sound waves over an orally administered pill, ultrasonic ball-blasts actually start to sound pretty attractive. For one thing, it would be cheap; the equipment used to deliver the doses is already ubiquitous in sports medicine and physical therapy clinics. Plus, there'd be no expensive drugs to synthesize, which also translates to cheaper treatment. You also wouldn't have to remember to take a daily pill. When Tsuruta first received funding for his team's research from the Bill and Melinda Gates Foundation in 2010, he estimated that doses of ultrasound could be used to provide men with six months of reliable contraception. Of course, that was almost two years ago — before he'd had a chance to see the results of his tests on rats — but even if it only lasted two or three months, a few short visits a year would probably still be preferable to a daily pill for a lot of people. But plenty of questions about the efficacy and safety of ultrasonic contraception remain, namely: how long does a single treatment last, are the treatment's effects reversible, do multiple treatments cause any long-term damage, and do the ultrasonic doses have any negative effects on babies themselves? 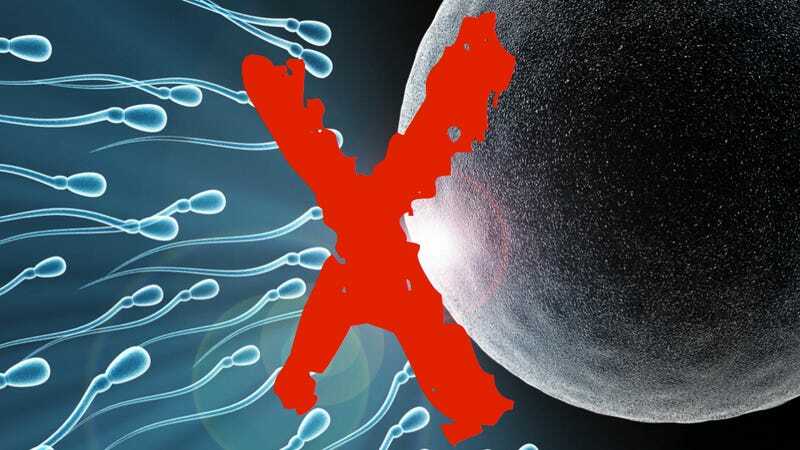 "It's a nice idea, but a lot more work is needed," said University of Sheffield's Allan Pacey in an interview with BBC News, claiming it was likely that sperm production would recover, but that "sperm might be damaged and any baby might be damaged," as well. "The last thing we want is a lingering damage to sperm," he said. A provisional version of the researchers' findings are published in Reproductive Biology and Endocrinology.